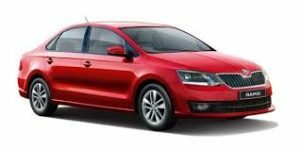 The Skoda Rapid is the most important product in the Czech carmaker’s India line-up. It is an India-specific product and a volume player for Skoda. ;Powering the front wheels is a 1598cc oil burning lump which features like double over head cams and a high pressure direct injection system. While you don’t have to guess where this engine comes from, what you will keep wondering is how different this engine feels in the Rapid. Pushing out a 105 PS @ 4400 rpm and a meaty 250 Nm of torque between 1500-2500 rpm, the Rapid is tuned in a slightly different way compared to the Vento. While it’s slightly more audible, performance throughout the rev range is extremely linear with a crisp throttle response. In fact driven around town, the Rapid actually feels quicker than its German sibling. However numbers tell a different tale.